" When we were looking to build our own studio, we needed the proper cabling in order to ensure a true signal path throughout our chain. Mogami cable was our first choice. They just sound right." "Once you send your signal through the wire, there is no turning back. There is no plugin that can fix poor quality recordings stemming from the cables you used, and no way to get back quality that has already been lost. Mogami cables are in most studios for a reason: They make the best quality cables, both audibly, and in terms of durability." In a few short years, Imagine Dragons' innovative sound - made apparent on the chart-topping song "Radioactive" - has taken them from playing casino lounges to headlining a major tour throughout the U.S. and Europe . Imagine Dragons first made their mark with their breakthrough release "It's Time" off their first major label release, the Continued Silence EP. The song, which reached #3 at Modern Rock radio and #2 at AAA, earned the group a 2012 MTV VMA nomination for "Best Rock Video." They followed up with their 2013 full length release Night Visions , available on KIDinaKORNER, the label of Grammy award winning producer Alex Da Kid (Eminem, Rihanna). The album includes "Radioactive," which became one of the biggest hits of 2013. 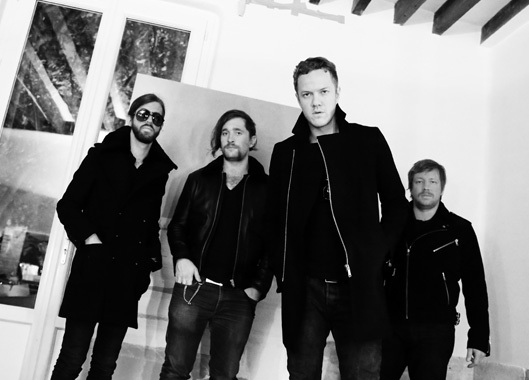 The four-man band from Las Vegas consists of Dan Reynolds (Vocals), D. Wayne Sermon (Guitar), Daniel "Z" Platzman (Drums), and Ben McKee (Bass). All but vocalist Dan Reynolds attended the prestigious Berklee College of Music, which lends a combination of technical skill, precision, and experimentation to Imagine Dragons' sound.